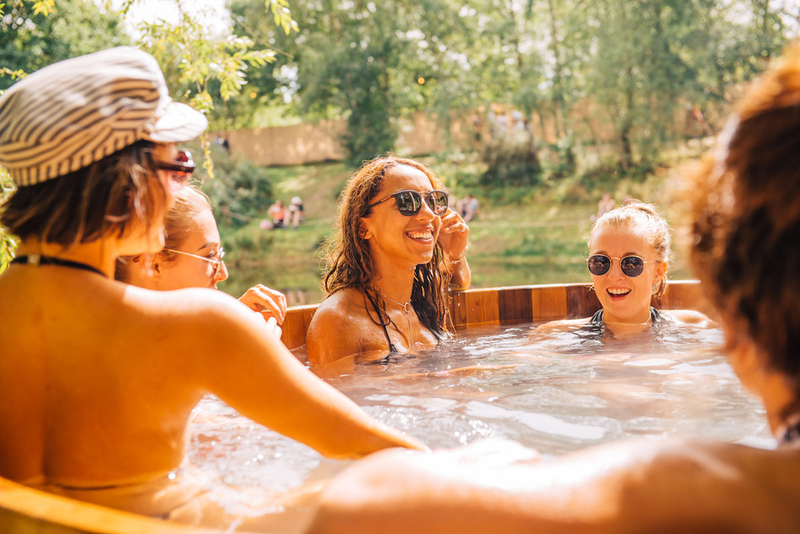 Lose yourself on the shores of The Lake of Tranquility and soothe your senses in Bathing under the Sky's wood-fired spa, indulging in premium wood-fired hot tubs, dry Finnish sauna, luxurious hot showers and more. Plug your phone away and get ready to recharge you body and soul. 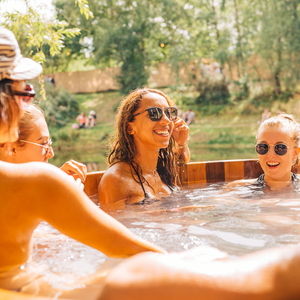 Immerse yourself in one of the luxurious wood-fired cedar hot tubs enjoying the muscle-relaxing heat, fresh air and the sound of crackling fire. If you desire, move on to the dry Finnish sauna and let the therapeutic cedar aroma and steam envelop all your senses. The 80-degree heat will slow your mind, gently washing away stress of modern lives. 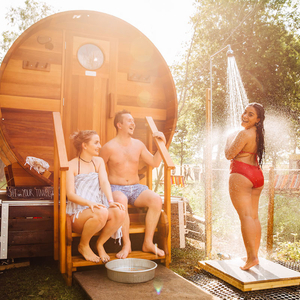 For a fully invigorating experience, step under the cooling outdoor shower which will leave your skin feeling energised and alive. Follow by plunging back into the sauna or the hot tubs. 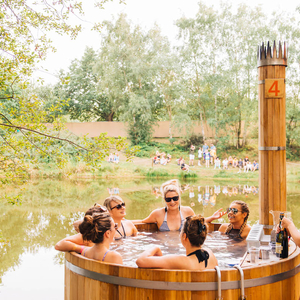 During this slot the Lost Village 'Rituals of the Water' will take place. A spectacular finale to the festival, taking place on the Lake of Tranquility. 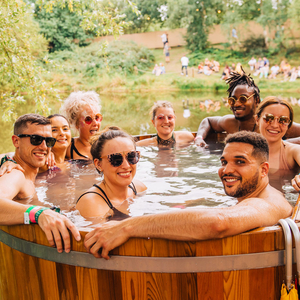 Our Hot Tubs are the best seat in the house to experience this! Because we follow strict H&S rules, the capacity of the facility is very limited. Only a fraction of the punters get the chance to use our facilities. We therefore advise you to book your tickets online to avoid disappointment. Tickets are non-refundable but are transferable, subject to availability. Please make sure to arrive at least 15 minutes before your session starts to allow for check-in procedures. 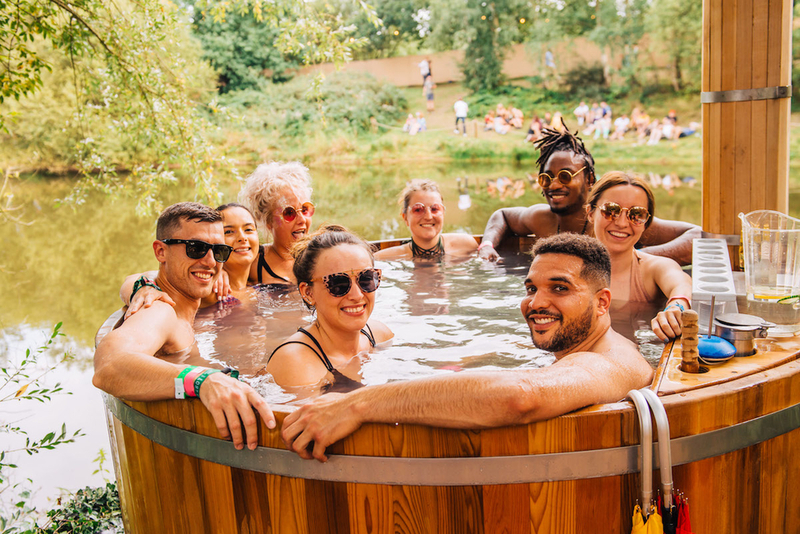 Due to extremely high demand, we reserve the right to resell your spa tickets if you are more than 20 minutes late for your session. Please note that refunds will not be given in case of missed sessions. 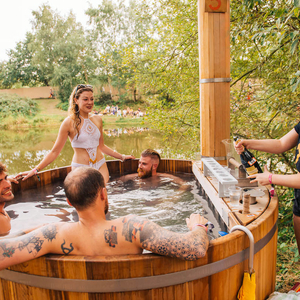 Each guest MUST take a hot soapy shower before entering hot tubs and sauna. Showers with shower gel are provided. 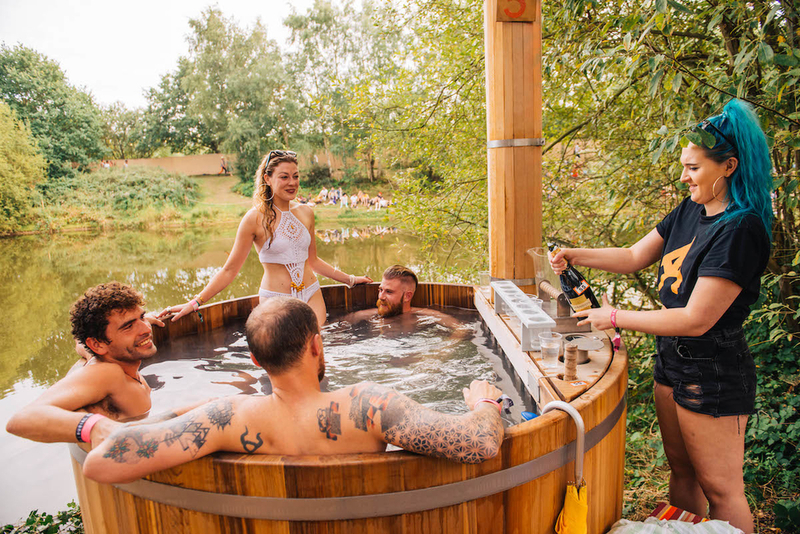 Due to H&S and licensing reasons, please do not bring alcohol into the Spa. 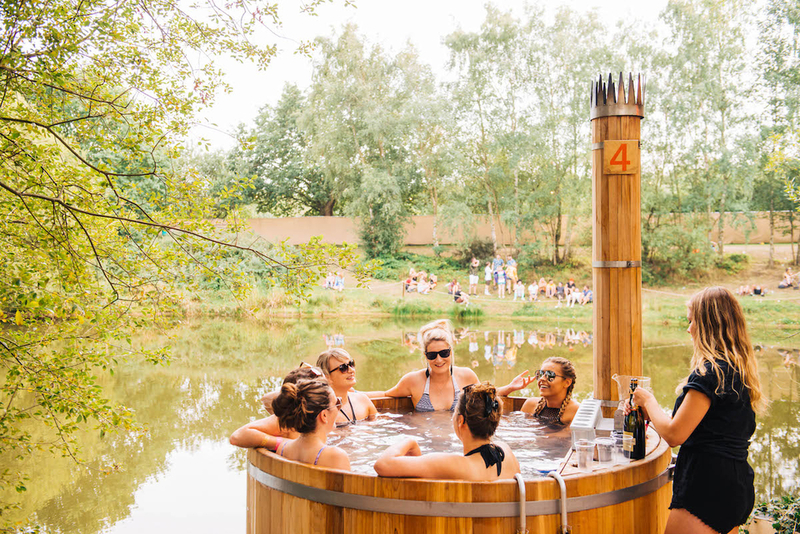 For a truly lush experience, there is a Champagne Bar with service to the hot tubs.